For whatever reason, whether it’s a small size, an out of the way location, or a simple lack of publicity, some restaurants tend to fly under the radar with a larger audience. This series takes a look at Underrated Places. This time we venture to Benton where we have heard reports of amazing Thai food at Sullivan’s Diner. The Restaurant: Let’s be honest, Saline County doesn’t yet pull a ton of traffic for it’s local dining, but if you are seeking some tasty and traditional Thai cuisine or in the mood for more traditional Southern style fare then Sullivan’s Diner in Benton is worth the haul. The proprietors met during Carl Sullivan’s service in the Vietnam War and after returning back to Arkansas they had ideas of bringing his bride, Dang Sullivan’s knowledge of her heritage Thai delicacies to Benton. Initially the duo set out to wholesale their menu ‘s staple, the “Meatroll”, but after a few snafus with licensing, they decided to open their unique restaurant concept. 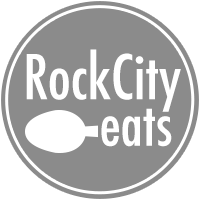 Carl’s mother and Dang joined forces in the kitchen, combining Southern style dishes that remind you of a Sunday at Grandma’s and an array of authentic Thai specialties, all wrapped up in a pretty little gem of a restaurant. 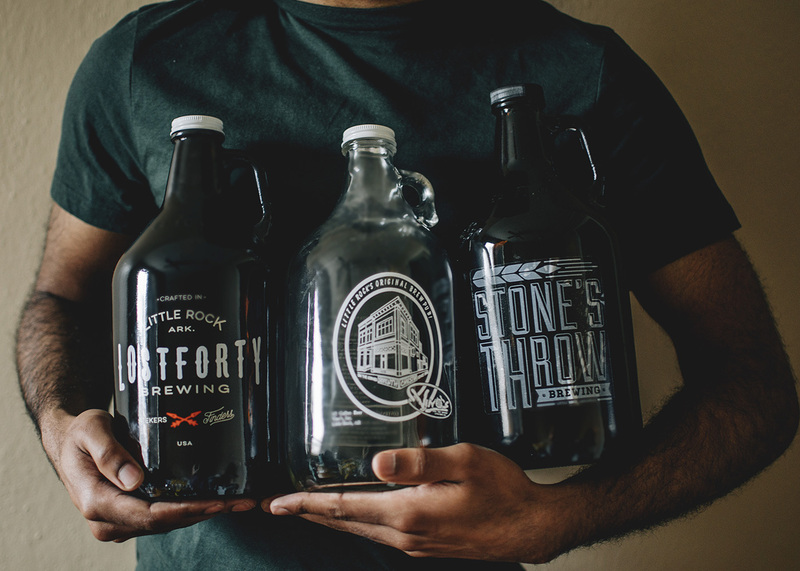 Sullivan’s is nestled into a in a quaint little neighborhood that is easily accessible from I30 and Alcoa Road. Atmosphere: Sullivan’s makes you feel at first glance like you’ve come across somewhere special, it’s a little white house with charming red trim. Inside, it hosts around a dozen or so tables and gives off the nostalgic vibe that you get from a restaurant on a country road. Service is casual counter ordering with table delivery. 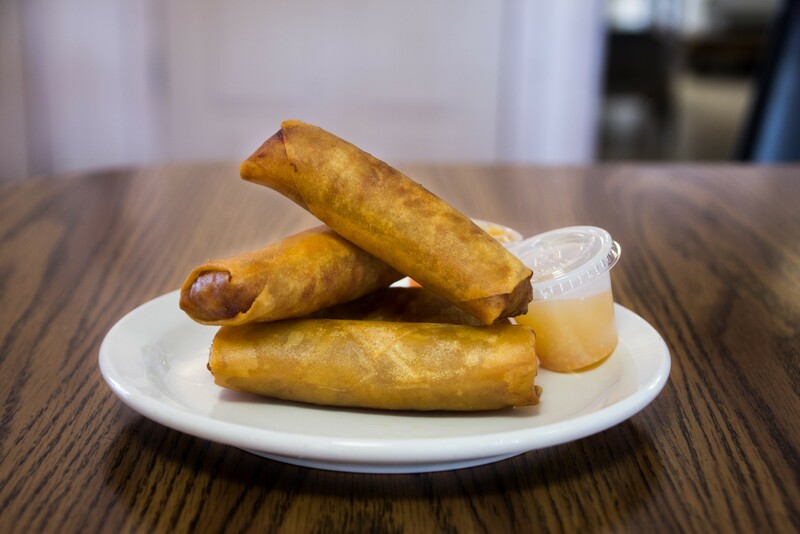 Food: We came to Sullivan’s on this trip to check out their Thai options, and decided on three Thai classics: The inspiration for the restaurant itself – The “Meatroll”, a version of a traditional crispy Spring roll. Airy wonton wrapper filled with deliciously seasoned ground beef and deep fried, they are served with a Sweet and Sour type sauce and one of the most delicious house-made hot sauces I have tasted in awhile. Citrus based and spicy with chili, garlic and ginger, it was so good I took some home to try my hand at recreating it. 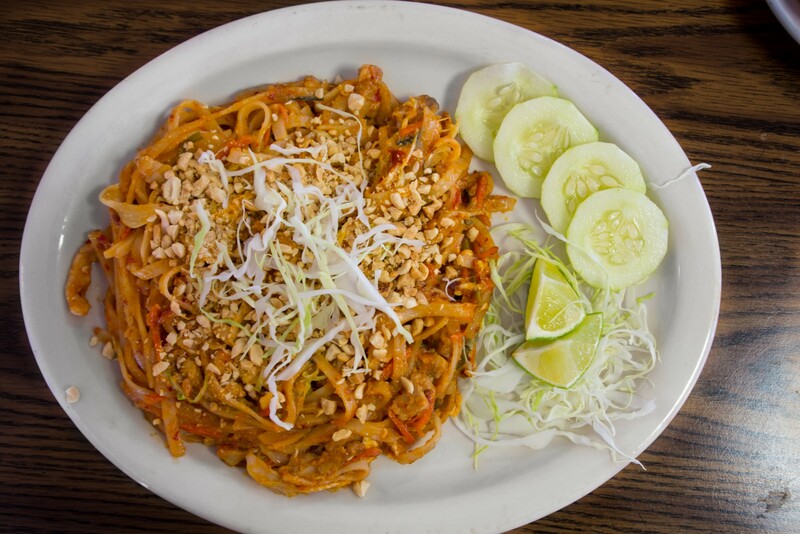 Up next, Chicken Pad Thai , the house favorite. The rich peanut based sauce was lightly sweet with coconut and tangy with kaffir lime leaves, finished with chopped peanuts and served over rice noodles. It was filling, earthy and delicious and it’s easy to see how this would be a hit among people frequenting Sullivan’s. 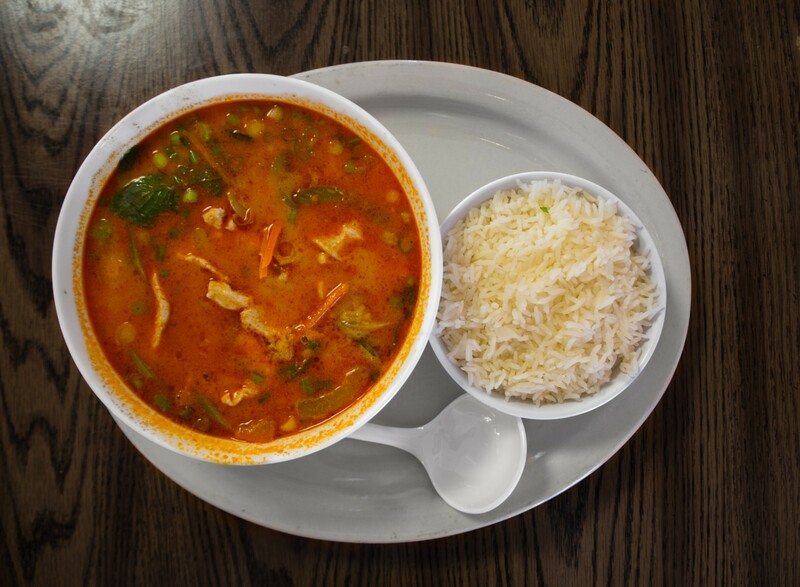 Our final try was the Piece de Resistance(at least for me) – the Tom Yum Ghai. This is one of my favorite dishes on the planet, so I was pretty excited to see it offered and it did not disappoint. A large, steaming bowl of creamy coconut based curry with ginger, garlic and bright citrus accompanied by a bowl of rice was hitting on all 6 cylinders. Price: Entrees range from $7-$12, and you get a lot of bang for your buck. The portions are ample enough that you could find yourself with a leftover snack for later. Verdict: Sullivan’s was a delightful find here in Saline County, and I guarantee you’ll find it worth the trip. 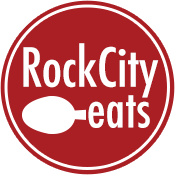 The food is simple, authentic and delicious and the owners, Carl and Dang Sullivan, are welcoming and full of stories about their tasty treasure of a restaurant. The food is evident that someone knows what they are doing and putting a lots of love into it. Hours: 10:00 – 7:00, Monday through Saturday. Closed on Sunday.